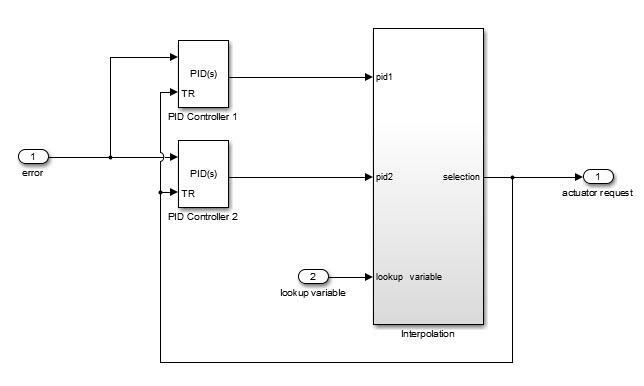 I have a family of PID controllers (around 100), each designed based on an operating point. During implementation, I am using interpolation. However, still the transfer is not bumpless. How do we implement a family of PIDs with bumpless transfer? Dear Arkadiy, in my case, I have three scheduling variables which result in a family of 1000 PIDs. Is it possible to put all of them as an array into a PID block? By a family I meant a large number of PIDs so that it is not practical to represent each of them with a separate PID block. I might be able to help, but please send me a private message through my profile and include your email that I can use to reply.